We offer an domain name registration service as part of our packages. Domain name registration does not have to be part of one of our design packages. It can be carried out as a separate service. 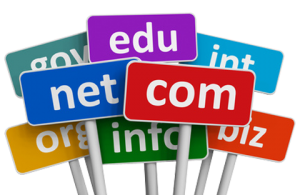 Choosing the right domain name for your business is of paramount importance. Potential clients are unlikely to be willing to trust a company who will not even purchase their own domain, especially when it comes to credit card details. Therefore, take care to choose a domain name that reflects your company, but also encourages trust and professionalism. We offer domain consultation and registration as part of our design packages. If you choose to take up our design solutions, we can offer qualified advice on how best to choose a domain that will benefit your business to the greatest extent.